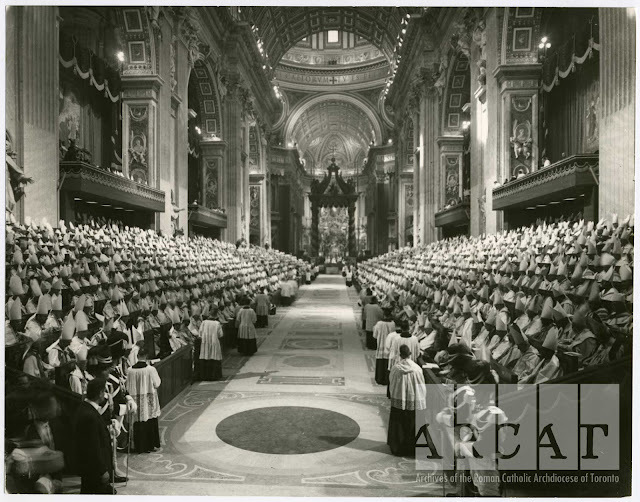 On this day in 1626, St. Peter's Basilica in Rome was dedicated by Pope Urban VIII exactly 1300 years after the dedication of the original St. Peter's by Pope Sylvester I. 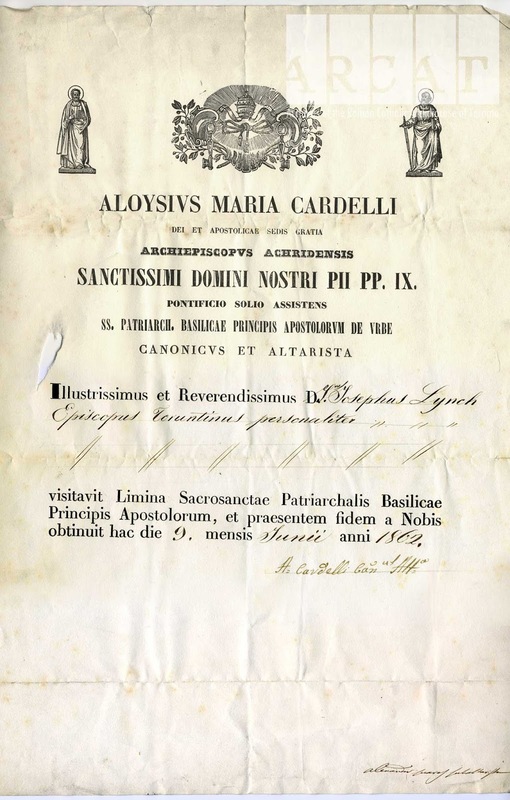 A document certifying that the 'Illustrious and Reverend Joseph Lynch, Bishop of Toronto' visited Pope Pius IX at the 'Basilica of the Principle Apostle' on the 9th day of June, 1862. An undated photograph of delegates to the Second Vatican Council from the back of St. Peter's facing the Holy Father. 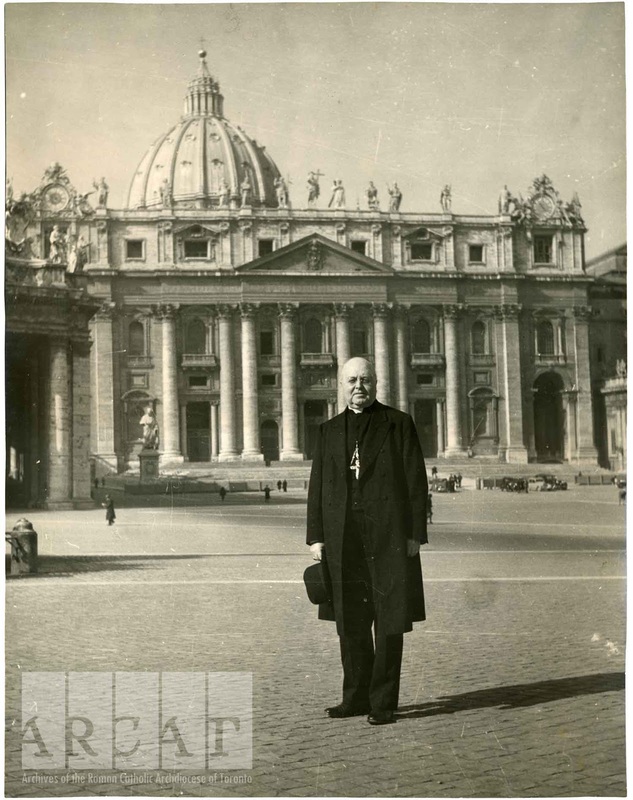 Cardinal McGuigan and Archbishop Pocock both served as Council Fathers. 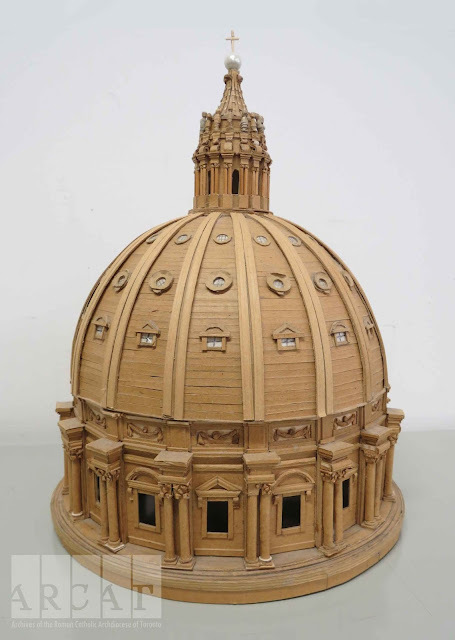 To visit St. Peter's Basilica without leaving your keyboard, check out the virtual tour on the Vatican website.